Among its myriad uses, industrial hemp can be utilised to soak up oil spills – and not just small accidents you have in the kitchen. The issue of the potential damage of oil spills hit the headlines in Australia recently after BP published a report on the worst-case effects of major spill associated with proposed project in the pristine Great Australian Bight. 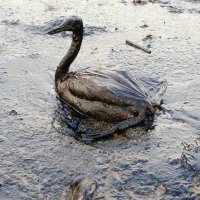 “It indicates that we could be looking at up to 4,000 kilometres of coastline with oil, 94 per cent chance of reaching Kangaroo Island with 15 days of a spill, 86 per cent of oil reaching Adelaide within 20 days of a spill,” said the Wilderness Society’s South Australian director Peter Owen. How could such a spill be mopped up before it wreaks incredible damage? Major oil spills on our oceans are often tackled with dispersants; chemical concoctions used to break down the oil and accelerate biodegradation. One type of dispersant, Corexit, was used in huge quantities during the 2010 Deepwater Horizon disaster in the Gulf of Mexico. However, its toxicity has come into question; to the point it has been banned for use in the United Kingdom due to concerns about the potential of adverse health effects on people using it. Some have also claimed Corexit was not only toxic to the Gulf’s marine life in itself, its toxicity was amplified when combined with crude oil. Another way of handling an oil spill on land and at sea is through the use of absorbent materials. The most commonly used materials are polypropylene and bentonite clay. Polypropylene is ironically a petrochemical product and bentonite clay needs to be mined. There are more earth and marine friendly solutions for surface based oil cleanup on oceans – and one of them literally grows like a weed. A renewable, non-toxic absorbent material can be sourced from industrial hemp. Hemp core is a natural absorbent able to soak up many times its own weight and still maintain flotation. When used in this way, once it has done its work, it can be dried and used as fuel. In situations where an oil spill occurs on land, it can be used as a sponge or combined with the affected soil. When dug into the soil, hemp goes to work in converting contaminants into harmless substances. Growing hemp plants on oil contaminated soils can also work well; a process called phytoremediation. Industrial hemp’s amazing absorbency attributes makes it suitable for other uses also; such as animal bedding and personal care absorbents including diapers. Hemp based diapers are said more absorbent than cotton or bamboo, and more environmentally friendly in their production. It seems every day new applications arise for industrial hemp – it’s little wonder it is considered by some to be the world’s most useful plant. While hemp may provide part of the solution to oil spills; considering an ounce of prevention is worth a pound of cure, perhaps its best BP just dumps its plans for the Great Australian Bight – for this and many other good reasons.